This popular Wyndham Park home will not disappoint. Mountain views and Mountain views. Features include stunning bamboo flooring, decorative colors, granite, SS appliances, 4 bedrooms and 4 baths. Whats New? 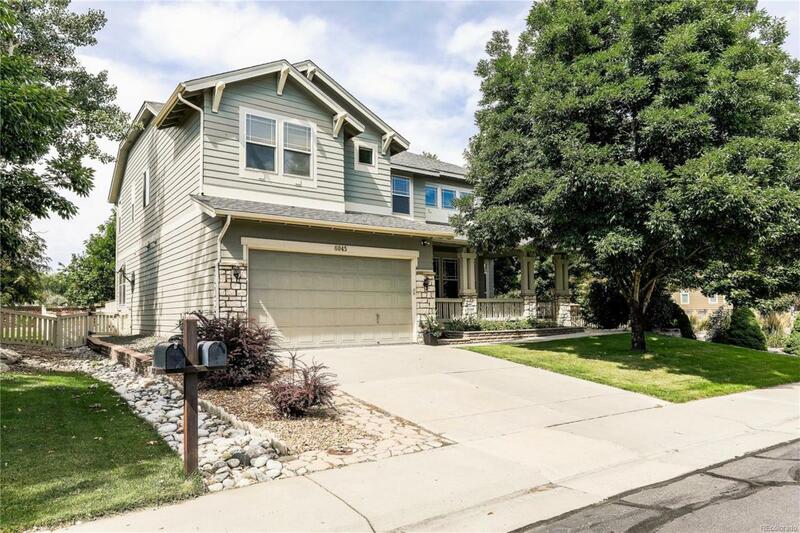 Interior paint throughout, new carpet throughout, new light fixtures, newly renovated basement with new windows.This exceptionally large kitchen comes furnished with SS Double oven, oversized refrigerator, dishwasher and built-in microwave, cabinets galore. Large master bedroom/master suite, large secondary bedroom with jack-n-jill bathroom. WH, furnace, A/C and humidifier are newer. Newly renovated basement includes large family room, large bedroom, large 3/4 bathroom, flex room and large storage with built-in shelves. Exterior features trex deck, corner lot, covered front porch for those coffee mornings and your very own Asian pear tree and cherry tree. This home is not to be missed. Wyndham Park Homes are selling quickly. Dont miss out on making this your next home. Offered by Denver Home Source.